Though rose gold, subway tiles and exposed lighting were lust-worthy in 2018, they are long-forgotten and replaced with the new interior design trends of 2019. The new year brings new decorating patterns, materials, finishes, furniture pieces and color palettes to liven up your old space, create inviting living arrangements and incorporate functionality into your home. 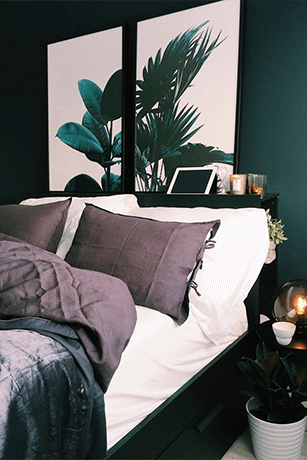 It seems some trends are constantly in flux while others have remained in fashion for decades, but this updated list of home trends 2019 will inspire and motivate you to tackle your home projects: the latest and greatest decor trends of 2019 are timeless, inviting, functional and bold, and you won’t be able to forget them anytime soon. 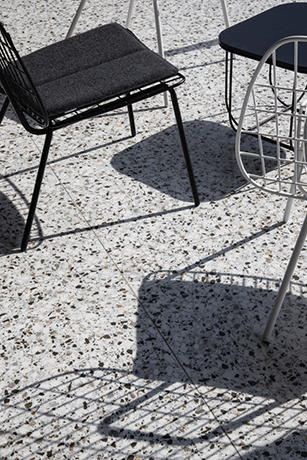 Terrazzo, the composite material of chips of marble, quartz, granite and glass, is suspended in a polished cement or resin and was once a popular mid-century flooring option for hospitals, schools and airports due to its inexpensiveness. The confetti-like material has re-emerged as a retro-luxe option, popping up in a number of home decor features. From coffee tables to shower walls, flooring to lamps, Terrazzo is a hugely popular design choice due to its decorative texture and is guaranteed to be huge in 2019 interior design projects. The interior design forecast 2019 is heavy with matte finishes: from beauty products to customizable cars, matte finishes are taking over the design world. Matte finishes create a relaxed, futuristic look to home furnishings in comparison to the loud, dramatic effect of high-shine finishes. Most popular is matte black: when juxtaposed against vibrant colors or busy designs, matte black creates a sense of drama that is undeniably desirable in home decor. 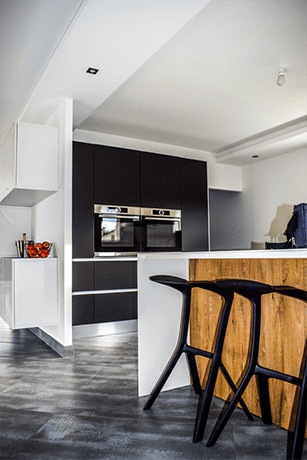 Though previously popular in the fashion and beauty world, matte black is emerging in the homewares and interiors realm: light fixtures, seating and various home decor items, like cabinets or bookcases, are being introduced to the 2019 interior design trends. The glamour and sophistication of matte finishes creates a graceful atmosphere that will most likely remain fashionable for some time. The last time ceilings came into interior design trends was the ornate molded tin ceilings of the 1920s! From painted to lacquered, wallpapered to unique molds to vaulted with beams, there is much to be appreciated about one-of-a-kind statement ceilings. The ceiling of a room makes such a huge impact in the overall look, feel and tone of the room. A reimagined ceiling can make a room appear bigger, brighter and more inviting than any piece of furniture or accent wall could. Environmental elements are one of the leading 2019 decorating trends. With more and more people concerned about hits to the environment, a sustainable ethos that incorporates strategic and purposeful designs is being encouraged in the interior design trends of 2019. 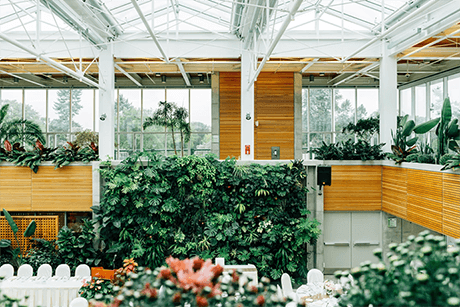 Production and decor that are easy on the eyes, leaves little to no impact on the Earth and its resources, and gives back to the planet are the kinds of design elements needed in 2019. Think more house plants, plant walls, energy-saving appliances and recycling materials into new designs. Even go so far as to consider who you are purchasing materials from, what values they stand for and what materials are used to build each item. Truly timeless designs are ones that give back to your home and limit the degradation of our greater home planet. Popular in the 1960s, curvy furniture is making a come-back. Rigid lines have had several decades in the spotlight and seem rather routine and expected today. 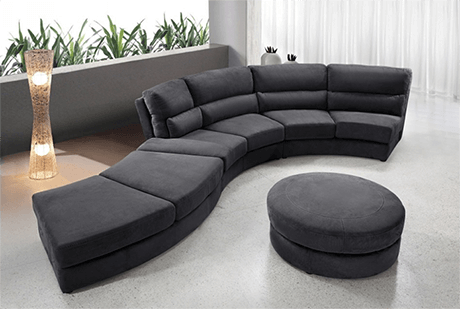 Furniture trends 2019 showcase retro, curved couches to reintroduce some much needed sensuality and subtle play into otherwise masculine designs. Though we’ve seen curved lines take to tabletops and rugs, their reintroduction into sofas, couches, chairs and settees is for a purposeful reason: the curvaceous designs of seating arrangements encourages meaningful talks and restful conversation. As a lost art, the intimacy of genuine conversation has been traded in for hectic schedules and nonstop technology. However, the interior designers of 2019 are putting a stop to this: gone are the days of boxy furniture and uncomfortable living rooms! This year, welcome the curvier, comfier and more elegant replacement designed with face-to-face interaction in mind. 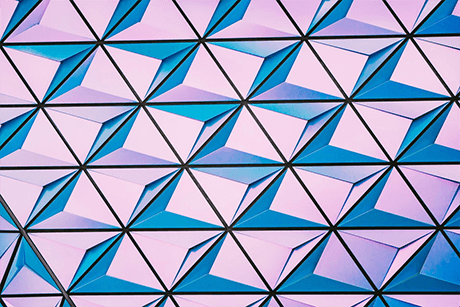 Geometric patterns almost never go out of style due to their symmetrical harmony and tribal-inspired designs, though they come and go about every 10 - 15 years. Similarly, traditional floral patterns, either abstract or realistic, have been around for quite some time. Both of these patterned designs are going to be seen in a new light: interior design trends 2019 are emphasizing exaggerated floral prints and the warm, familiar patterns of ethnically-inspired geometric designs. In contrast to minimalism, these bright and busy designs breathe life into a room like never before. This year, think bolder colors with oversized patterns. Vintage antiques from a wide range of time periods are all the rage in modern interior design trends. Specifically, Art Deco interior design creates a composite feel of old and new and is used almost like an antidote to modern society’s obsession with new gadgets and technological advancements. Art Deco creates a refreshing balance of functionality and design, when paired with contemporary design elements. In the past, interior designers have encouraged softer tones and muted colors to keep a room from feeling too overwhelming. However, 2019 interior design trends are changing and designers are anticipating this year will be one for bold colors. When pairing muted furniture pieces and small, decorative elements with rich and bold wall paint, your home will pop! Be on the look-out for bold yellows, dramatic reds, statement pinks and organic greens. As more and more people are gravitating towards city dwelling, where the rooms are smaller and more compact, it makes sense for current interior design trends to focus on multi-purpose furnishings and compact, convertible designs. Small spaces don’t have to feel cramped when genius, conversation-starting designs are brought into the mix. Say goodbye to clunky, hard-to-move pieces of furniture and hello to adaptable furnishings with loads of style. Think murphy beds and movable walls, multi-purpose built-ins and convertible dwellings: this practical design trend is here to stay. This year, your lighting fixtures are getting a much needed update: less exposed lighting and more vintage pendants, sconces and sculptural art fixtures are making their way into the home interior trends 2019. When paired with the minimalist, eco-friendly designs, matte finishes and convertible furnishings, your artistic lighting fixture will create that pop of drama and contemporary style to tie the whole room together. 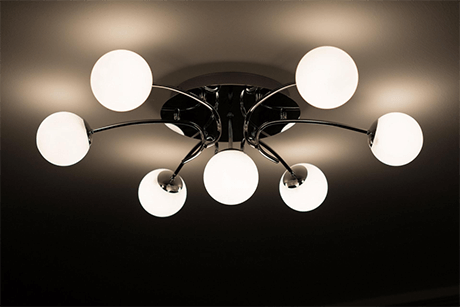 Light fixtures are as important as art: they can make or break a home with their artful designs. In 2019, brass and copper finishes will pair with vintage, sculptural lights to bring all the trending designs together in unison.